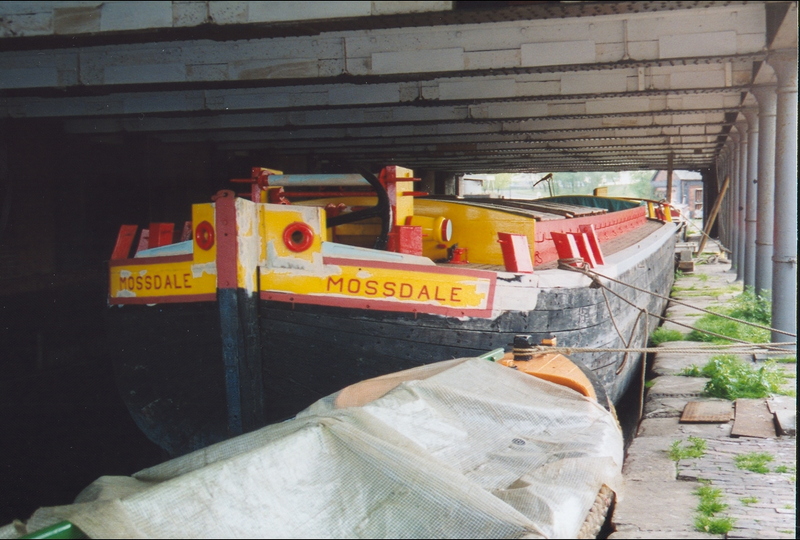 Mossdale’s fabric is representative of a typical wooden Mersey flat, being built of oak frames on pitch pine planking doubled where necessary to achieve her shape. Her large foredeck windlass fitted her to work in the tidal Mersey, with a smaller windlass used when warping her into docks. 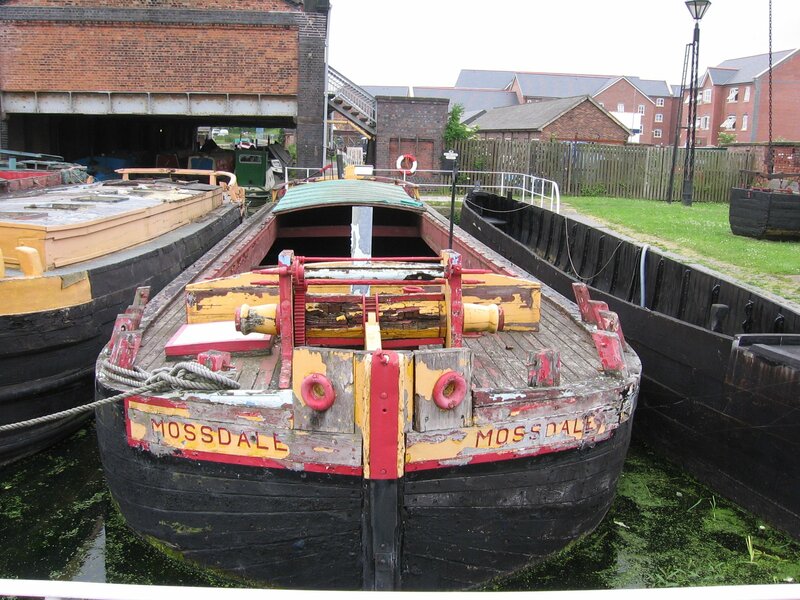 In 1933, Mossdale underwent a major re-build which included lengthening her to 72 feet. Her increased length represents an important period in her working life, marking the development in trade caused by the industrial revolution and the need for her to carry a greater cargo to pay her way. With no means of propulsion, she would generally have been towed by a horse or tug. 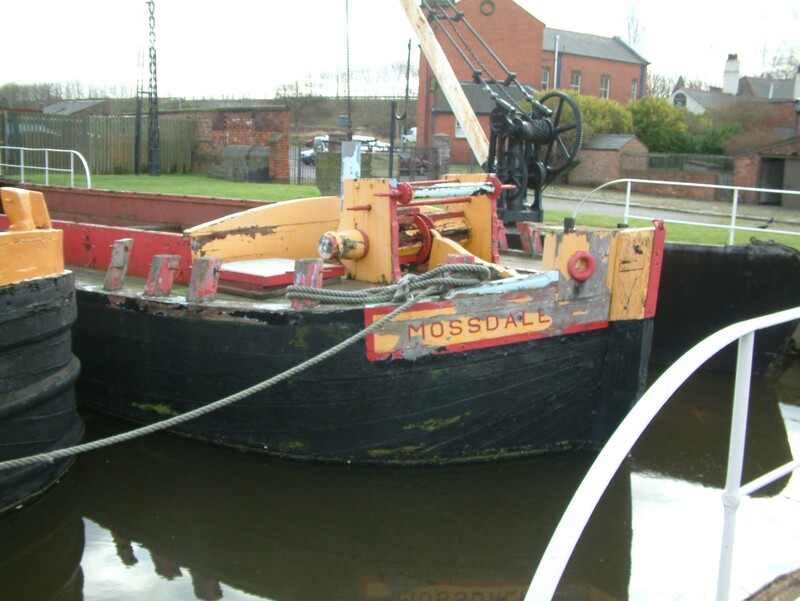 Mossdale was built circa 1860, owned by the Shropshire Union Canal Company and worked for them until 1921 under the name of Ruby. She was subsequently owned by Richard Abel & Sons of Runcorn, carrying general cargo including grain and margarine and often unloading at the Ellesmere Port flour mills, in which historical setting the vessel is located today. She has strong historical associations with Liverpool and the Mersey and links to the Bridgewater Canal, where she operated as far as Manchester. 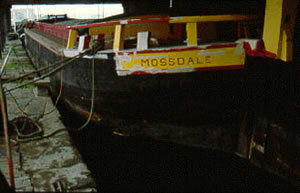 Mossdale is referred to in Mike Stammer’s ‘Mersey Flats and Flatmen’ pp192-193 and a number of photographs survive of her working life, as well as an oral interview with one of her skippers. 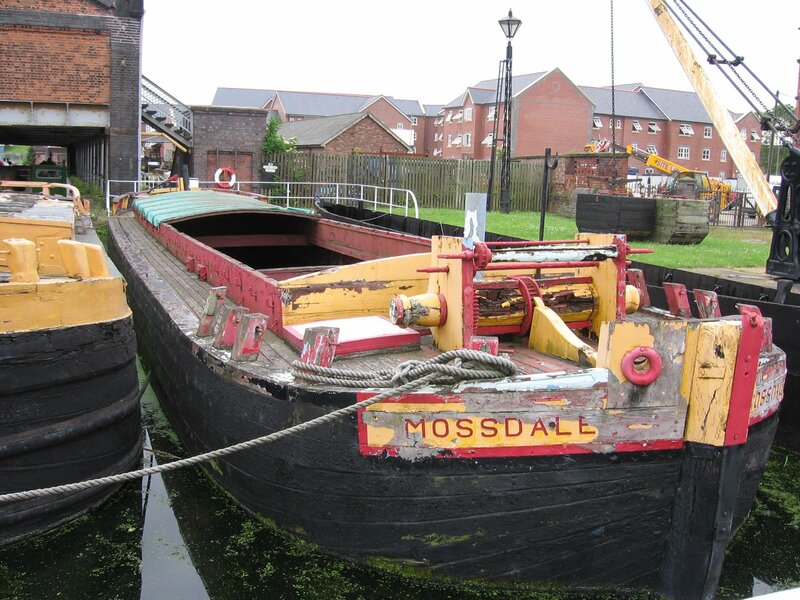 Mossdale was never rigged as a sailing flat, but is a good example of a regional river barge from North-West England. She has a substantial rudder, a typical flat bottom, a round bilge and bluff square bows. 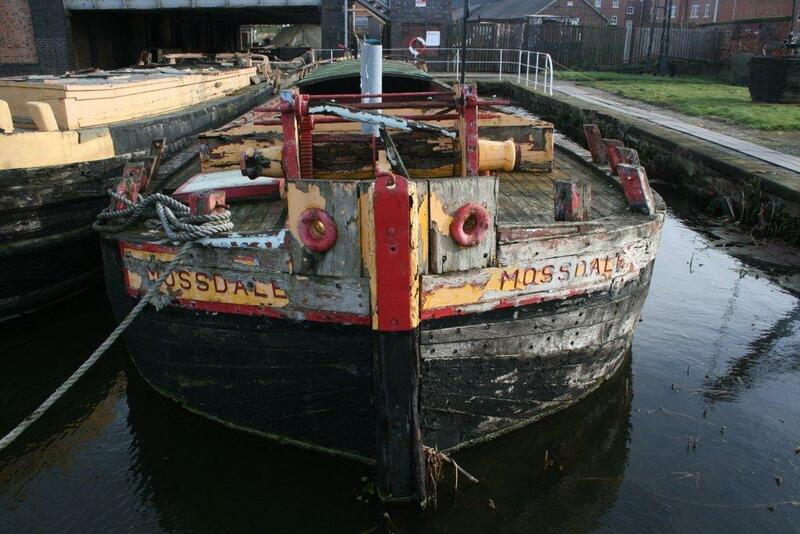 MOSSDALE was built in 1876 by the Shropshire Union Railway & Canal Company, Chester. She is a Mersey Flat and was towed by horses or tugs. 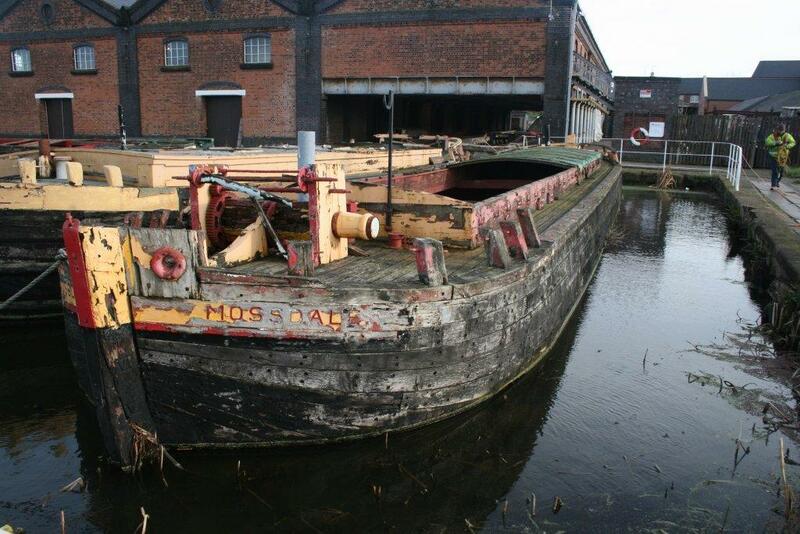 Her hull was carvel construction of oak, elm and pitch pine and she traded between Ellesmere Port and Liverpool. 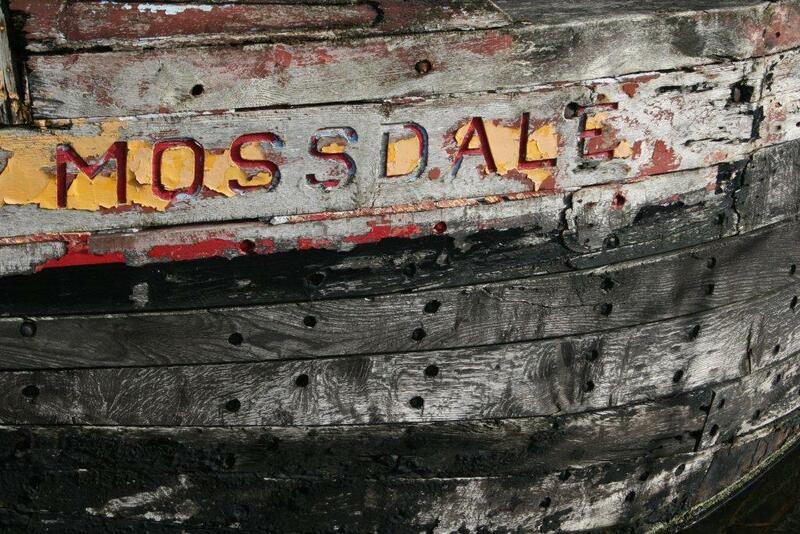 Originally known as RUBY, she was renamed MOSSDALE when bought by Abel & Son of Runcorn in the 1930s. They extensively rebuilt and deepened her to obtain maximum load for minimum displacement. 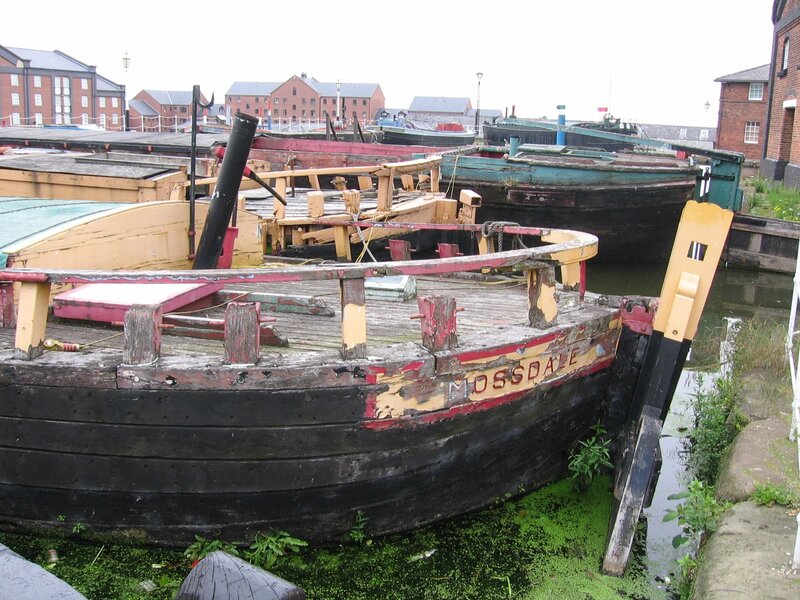 She was found abandoned at Ellesmere Port in 1970 and is now preserved on shore at the Boat Museum, Ellesmere Port. 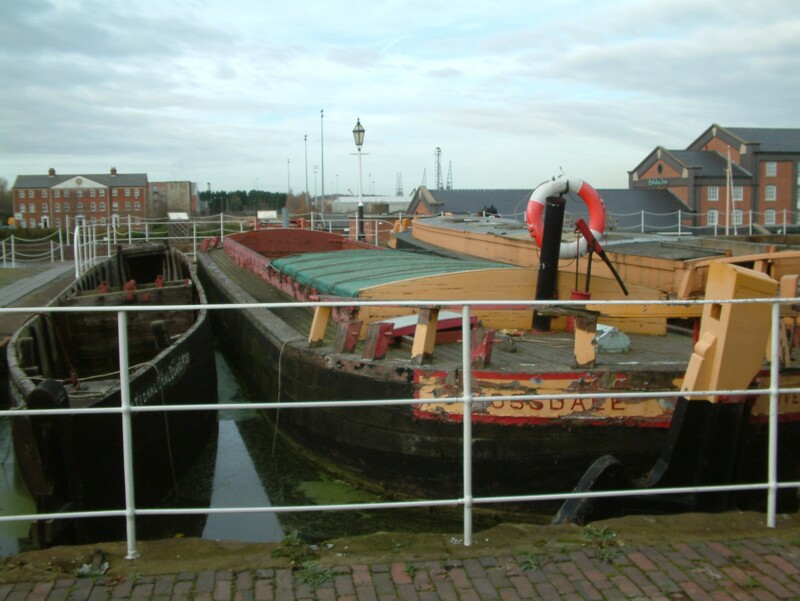 Awarded by ACE Museum Resilience Fund of £313k for storage, lifting and moving priority boats and reinstatement of the dry dock at Ellesmere Port.